Our translation services are second to none. We provide efficient turnaround and outstanding quality control for all of your professional documents. Working with experienced and qualified translators based abroad and in the UK, Language Recruitment Services boast some of the best rates in the industry. We deliver consistent value to our clients through the knowledge and expertise of our team of translators, qualified and trained in their areas of specialisation. Our translators work in their mother tongue to ensure an excellent standard is achieved within agreed deadlines. Our popular proofreading services provide peace of mind before your documents are published. 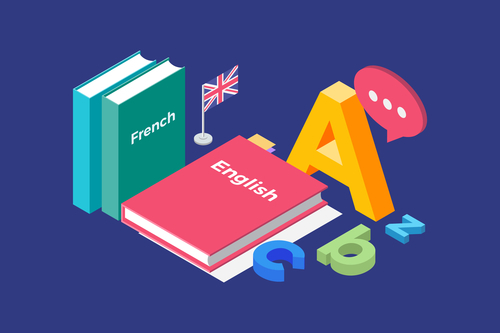 At Language Recruitment Services we can check your English or foreign language texts for any incorrect terminology, inconsistencies or mistranslation. We also verify spelling, punctuation, and grammatical or formatting corrections. Our work is charged on an hourly basis, using only qualified or suitably experienced professionals. You can use our services to check translations produced elsewhere, alongside rewrites or amendments to existing documents. We supply foreign language copywriters to industry-leading clients in media and advertising. Our brilliant team of regular and tested copywriters work in various languages, whilst our network of external copywriters ensures all languages are covered. As with our proofreading services, this team can work in-house or on a freelance basis. We supply interpreters for a variety of assignments. To provide the best solution for your organisation, we require details on the format of your event, subject matter, location, availability of equipment and (most importantly) the languages involved.